Herbicide and pesticide spraying will be undertaken at the majority of the area’s sportsgrounds this week as Bega Valley Shire Council commences a renovation program. 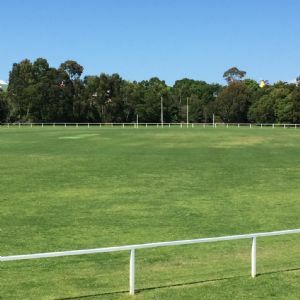 The work aims to improve sportsgrounds across the Shire and will implement recommendations outlined in an independent assessment of the facilities undertaken earlier this year. Clover, Summer, Goose and Crab Grass will be among the species targeted with herbicides, and larvicide will be used to protect from pests capable of undermining soil structures and growth. Signs will be erected at all affected sights prior to work commencing, with all necessary notifications to be undertaken in accordance with Council’s adopted Pesticide Use Notification Plan (available on Council’s website). For more information contact Council’s Leisure and Recreation Coordinator Justin Welsford on 6499 2155. Photograph: Spraying of Shire sportsgrounds to start soon.